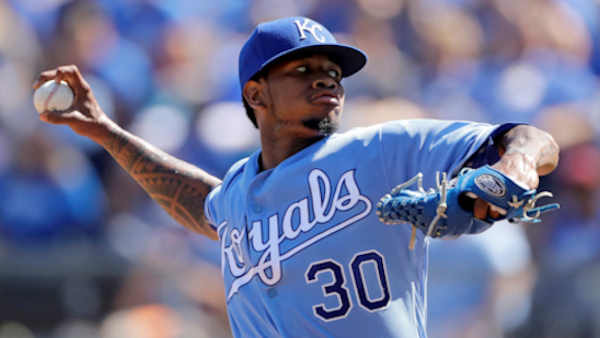 KANSAS CITY, Missouri -- Royals pitcher Yordano Ventura, whose electric arm and confident demeanor helped lead his long-suffering team to the 2015 World Series title, died in a car crash in his native Dominican Republic early Sunday. He was 25. With the fitting nickname of "Ace," Ventura burst onto the baseball scene with a 100 mph fastball and an explosive attitude to match. He was a fierce competitor always willing to challenge hitters inside, then deal with the ramifications when they decided to charge the mound. Not surprisingly, he quickly became a fan favorite as Kansas City embraced baseball once again. "Our prayers right now are with Yordano's family as we mourn this young man's passing," Royals general manager Dayton Moore said in a statement. "He was so young and so talented, full of youthful exuberance and always brought a smile to everyone he interacted with. We will get through this as an organization, but right now is a time to mourn and celebrate the life of Yordano." Highway patrol spokesman Jacobo Mateo said Ventura died on a highway leading to the town of Juan Adrian, about 40 miles northwest of Santo Domingo. Mateo did not say whether Ventura was driving. 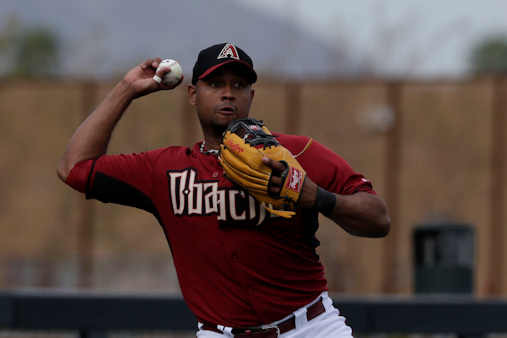 Also Sunday, former major league infielder Andy Marte died in a separate car accident in the Dominican Republic. Metropolitan traffic authorities said he died about 95 miles north of the capital. "We are deeply saddened to learn of the tragic passing of Andy Marte and Yordano Ventura," players union executive Tony Clark said. "It's never easy to lose a member of our fraternity, and there are no words to describe the feeling of losing two young men in the prime of their lives. Our thoughts and prayers go out to their families, friends, teammates and fans throughout the United States and Latin America." Ventura is the second young pitching star to die in past four months. Marlins ace Jose Fernandez was among three men killed in a boating accident in late September, when the 24-year-old pitcher's boat crashed into a jetty off Miami Beach in the early morning hours. Ventura went 14-10 with a 3.20 ERA in 2014, his first full season in the big leagues, and helped the long-downtrodden Royals reach the World Series for the first time since 1985. He proceeded to dominate San Francisco in both of his starts, though the Royals would ultimately lose in seven games. In an eerie coincidence, Ventura paid tribute to his friend and countryman, Cardinals outfielder Oscar Taveras, with a handwritten message on his cap during Game 6. Taveras also was killed in a car accident in the Dominican Republic, and his funeral occurred just hours before Ventura stepped on the mound. The following year, now firmly entrenched in the rotation, Ventura helped lead Kansas City back to the World Series, pitching well in two starts against Toronto in the AL championship Series. The Royals went on to beat the New York Mets in five games to win their second championship. Not surprisingly, the Royals moved quickly to sign their burgeoning young ace to a five-year contract through the 2019 season that included two more options that could have kept him in Kansas City. He wound up pitching his entire career for the Royals, going 38-31 with a 3.89 ERA. Born June 3, 1991, in Samana, Dominican Republic, Ventura represented a true rags-to-riches story. He quit school at 14 and was laboring on a construction crew to support his family when Ventura heard about a tryout, which led to a spot in the Royals' academy located on his picturesque island home. Still, the odds were long that Ventura would ever make it to the big leagues. Very few players from the Dominican academies reached the pinnacle of the sport. But over time, Ventura was able to harness one of the most electric fastballs that scouts had seen in years, and his headstrong and confident nature was essential in his rapid rise. He made his big league debut to great fanfare in 2013, allowing just one run again Cleveland in a sign of things to come. He eventually became a cornerstone of a youth movement that included young stars such as first baseman Eric Hosmer and third baseman Mike Moustakas, one that carried the Royals first to respectability, then to the top of the American League - rare heights the organization had not experienced in decades. Hosmer took to Twitter upon hearing the news of Ventura's death, saying: "I love you my brother. I'm in disbelief and don't know what to say. I love you ACE." Moustakas also expressed disbelief, tweeting: "I love you Ace. I don't know what to say other than I'm going to miss you a lot. RIP ACE."